Weekly Abroad meets Finnish designers building their career around the world. Although Finnish designer Milla Niskakoski lives and works in Seoul, she’s on a weekend jaunt to Hong Kong when we chat for this piece. More particularly, she’s in a shopping mall in Central borrowing the wifi. The connection is patchy, but lasts just long enough to get an insight into Niskakoski’s Korean life. Niskakoski’s relocation to Korea was precipitated as much by a desire to experience life in another country as it was a felicitous encounter with Korean culture at university in Finland: a Korean roommate prompted Niskakoski to take a closer look. Settling on the idea to pursue her Masters in the country, Niskakoski returned in 2012 for one year of language school before taking up a place on the product design MA at the International Design School for Advanced Studies, Hongik University. Niskakoski was supported in this endeavour by a generous government scholarship programme for foreigners which, she says, enabled her to focus all her energies on her studies. If, from the outset, Niskakoski was unsure whether she would remain in Seoul following graduation, an interesting job offer proved too tempting to ignore. Working for the Korean table tennis company XIOM, Niskakoski designed a series of bags for the Korean national table tennis team to use at the Rio Olympics 2016. 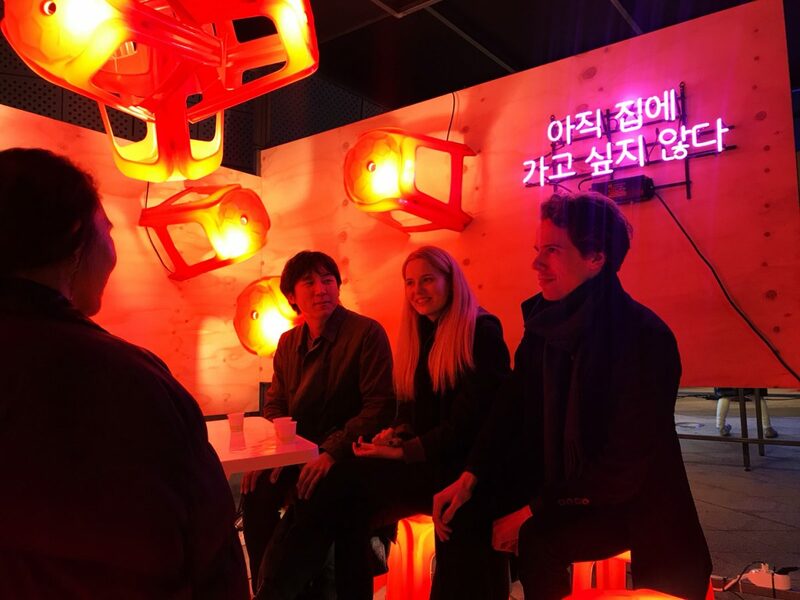 Hongik University’s rather unusual location, in close proximity to industrial areas rife with large material markets and small-scale factories, meant that it wasn’t long before Niskakoski and some of her fellow students began to think about creating their own studio. The result of those deliberations, Almond Studio, was born last year as a joint venture between Niskakoski, Shua Jo and Erlend Storsul Opdahl, fellow students from the University. The studio’s first project was an extension of Niskakoski’s thesis project looking at micro-niche branding. The micro-niche in question was a line of children’s’ backpacks for “metal head parents”. In the end, Niskakoski says, her chosen micro-niche was too micro and the backpacks were re-designed to be produced in a larger size for adults. Production for the Kerorek backpacks was successfully funded on Indiegogo and a Korean crowd-funding equivalent. The backpacks were then produced locally on a small scale, providing the studio with its first real taste of the ups and downs of the production process. “Producing the backpacks was probably too big of a project for our first product,” Niskakoski says. Consequently, the studio then refocused its attention on smaller items which can be produced within a few kilometres of their office and which don’t require an enormous injection of financial outlay up front. As for being a young Finnish designer living in Korea, Niskakoski says that it’s not as exotic as people back home might otherwise think. Seoul, she says, is easy to get around with good public transportation; it’s safe and clean and young people speak good English. 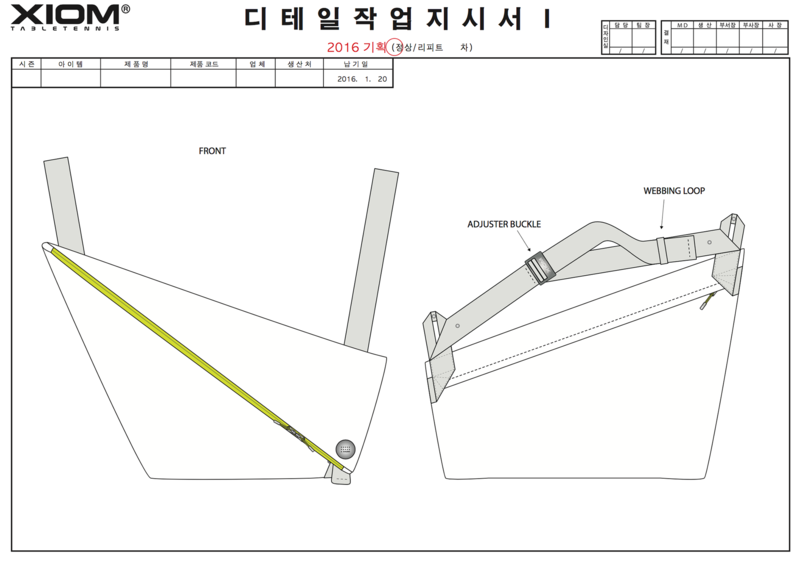 But one of the main draws and a key reason Niskakoski decided to remain in Korea after graduating is because the design work is very hands-on. And yet, despite (or perhaps because of) the relative lack of an independent design community, Korea’s government is keen to encourage business creation among its youth. Almond Studio have benefitted from a number of government-supported start-up programmes and their current office, which they share with a branding agency, is also funded in part by a government-supported fund. The strong support has been a boon for the studio as they evolve and develop.